On Becoming Preschoolwise has an entire chapter dedicated to helping you prepare your preschooler for Kindergarten. It is written by guest contributor Robyn Vander Weide. 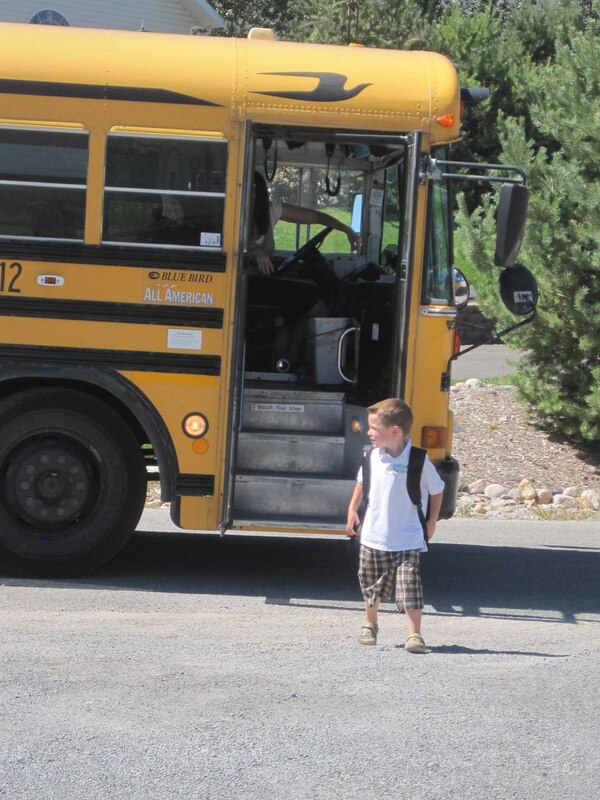 Sending your child off to school can be a bit scary, for lots of reasons. You don’t know who will be in that class influencing your child. You don’t know how your child will like class, like the teacher, like school, and like the other students. You don’t know how your child will behave, and you start to stress about if your child is adequately prepared or not. The first day of Kindergarten is definitely one of those parenting milestones where you sit back and analyze the last 5-6 years of your child’s life. Happily, when I sent Brayden to school, I sent him with confidence and I had No Regrets. I knew I had done everything I could to prepare him for his entrance into Kindergarten. There wasn’t one grand thing I did. It was lots of little steps taken over 5.5 years of his life. Sleep is important. All of us who practice Babywise obviously believe in that. And not just length of sleep, but quality of sleep. The sleep you get impacts how you interact while awake, “Optimal wakefulness is directly tied to optimal sleep, and optimal development is directly tied to optimal wakefulness” (page 114-115). In other words, you will perform best, learn the most, when you have had great sleep. I won’t go into this even more; I have posts and posts on the topic. For more on this, see Importance of Sleep. “Any activity that engages a child’s interest, attention, or imagination fuels and active form of learning” (page 116). This means your child plays actively with toys, not passively watching TV or playing video games. Choose toys that will stimulate your child’s mind and encourage imaginative play. Act as a teacher in your child’s life. Do activities with your child to help foster learning. Work on letters, shapes, colors, numbers, fine motor skills, gross motor skills, science, etc. Memorize songs and nursery rhymes. Practice gluing and cutting skills. For ideas on this, see the Children’s Learning Activities blog I contribute to. “Preschoolers flourish on consistency, predictability, and boundaries” (page 117). That is true for all children, correct? Structure helps your child learn. She knows what to expect and is able to organize her world. Also, a child who has grown up with structure will be able to thrive in a structured environment at school. This child has had the opportunity to develop independent working skills. She has also been taught to sit still and to stay in place when told. She has a great attention span. Do activities with your child each day as well as have independent activities for your child each day. There are two important skills that need to be the foundation for your child’s learning. They are attention span and focusing skills. Attention span develops when a parent directs the activity. The activity is over when mom says it is over. Independent playtime is a great activity to develop attention span. Have a routine that is predictable for your child. To focus on something means you can do it without being distracted. There are plenty of distractions at school, including funny friends who are far more interesting than anything the teacher is asking the child to do. Independent play is another great activity to do to foster focusing skills. Your simple, daily routine will do much to help your child prepare for Kindergarten. The next time we discuss Preschoolwise, we will discuss specific school subjects and how to prepare your preschooler for them. Valerie, you have taught me how much is achievable in steady steps over a period of time. This has been a great lesson for me to learn!